Click the banner above to link to Mr. Ed's web page. 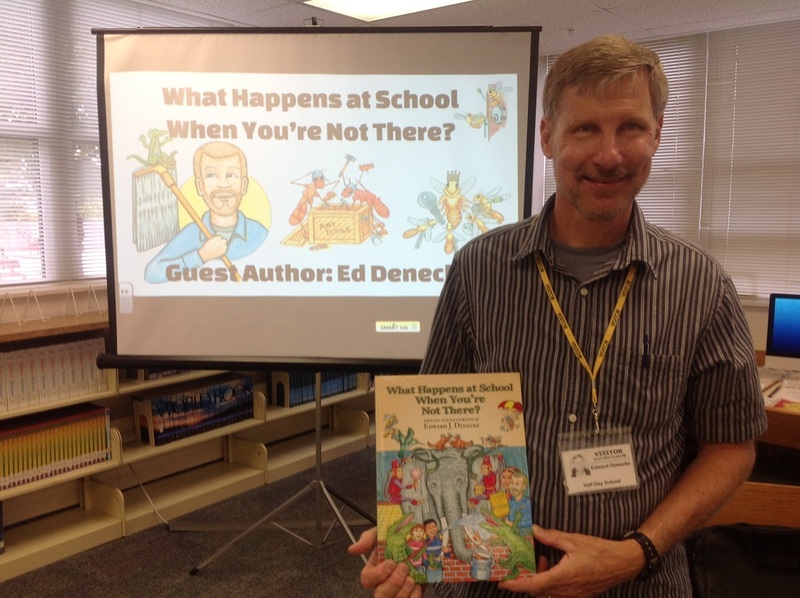 On October 2, 2014, Mr. Ed received a warm homecoming welcome from Half Day Students and staff when the former Half Day custodian returned as visiting author Edward J. Denecke (although he said we could still call him Mr. Ed). Third graders were treated with the story behind the story of his newly published book What Happens at School When You're Not There? Mr. Ed explained that many of the ideas in the book started out as stories he made up to tell to students at Sprague and Half Day right here in District 103. 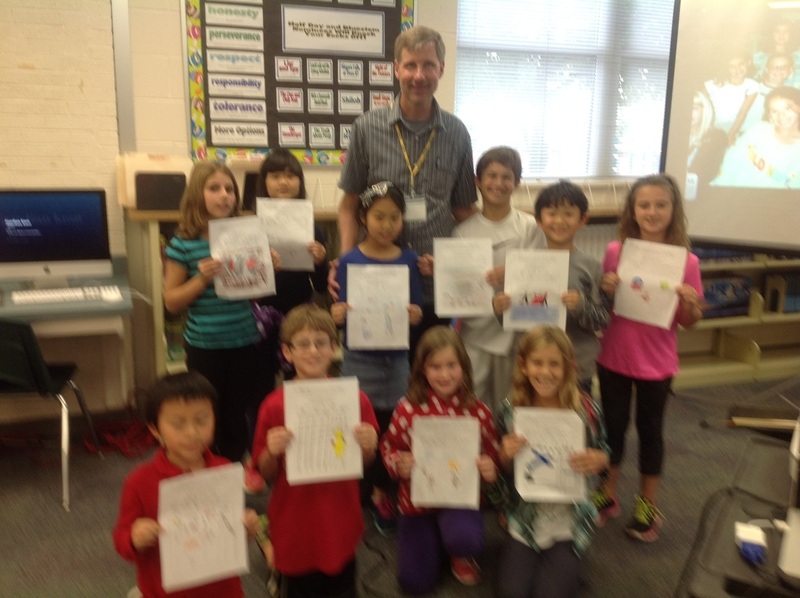 He also gave thanks to many D103 staff members who helped him along the way to getting his book published. 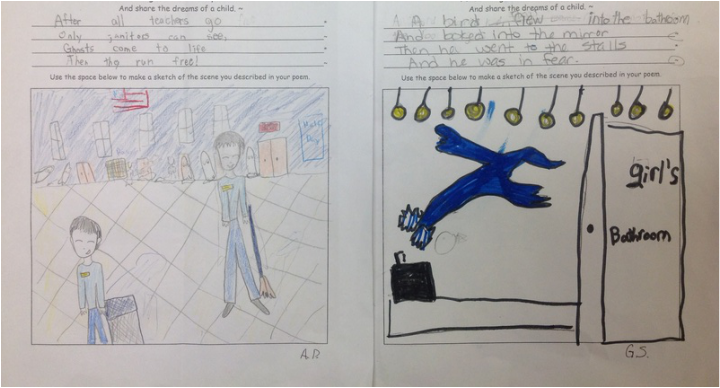 Mrs. Sweet helped suggest art materials, Mrs. Lighthall turned an early version of the book into a musical, Dr. Adler helped get his web site up and running, and the list goes on. 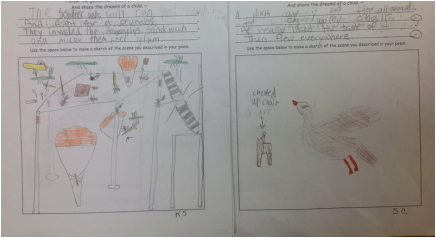 Students who received a sneak peak of Mr. Ed's book during library classes were able to write their own rhyming stanzas in the style of the book. 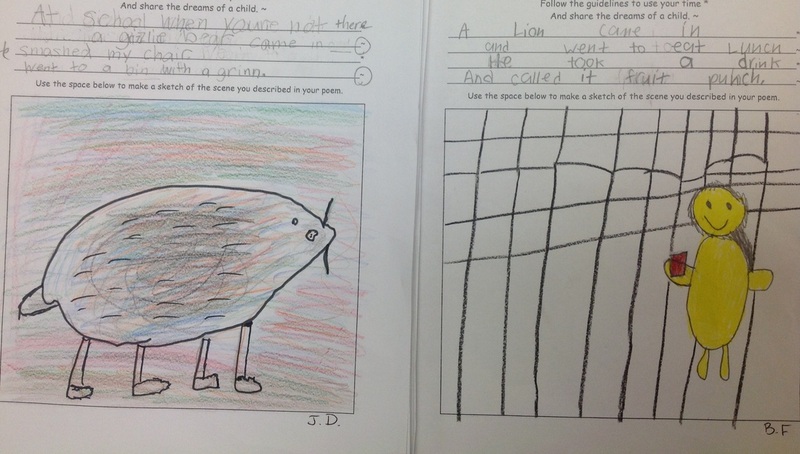 Mr. Ed shared several of these examples with the students and asked to see more as they are finished. 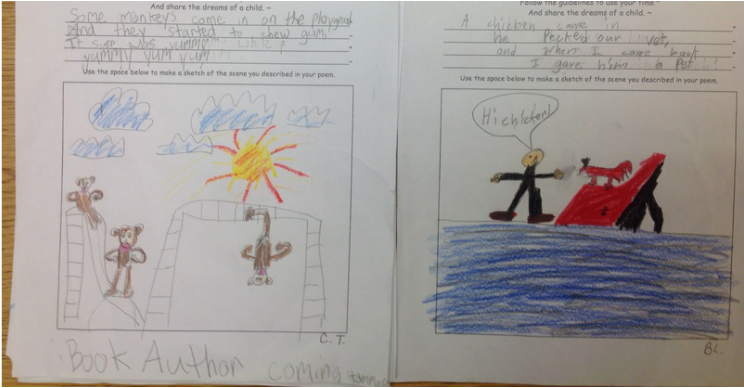 It will be exciting to share student work with a published author. Mr. Ed shared stories of former students who inspired and continue to inspire him to this day. He also explained that it took many years, many story drafts, and many disappointments before he finally made his dream came true. 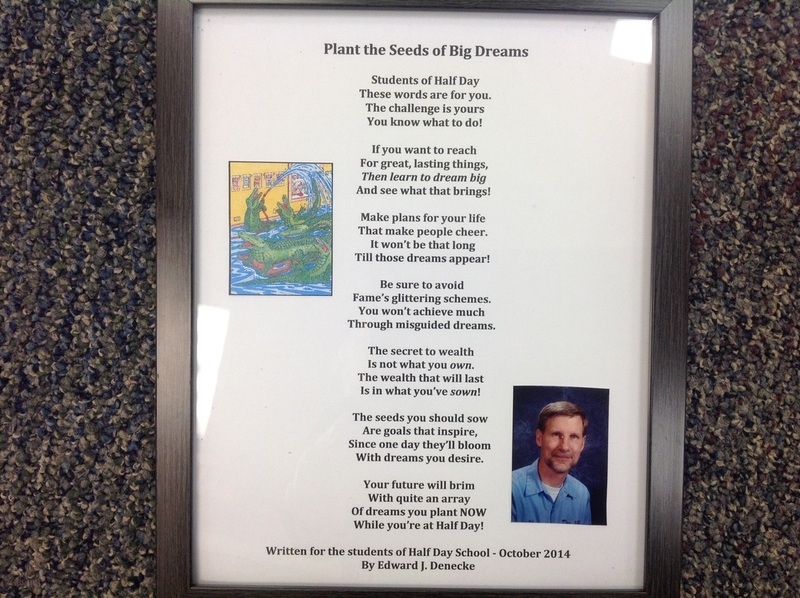 In a framed poem written just for Half Day, Mr. Ed challenged us to "Plant the Seeds of Big Dreams" with the important message that if it's worth dreaming about, it's worth working for. All of us at Half day are thrilled to have had the opportunity to see Mr. Ed's dream become his reality because success couldn't have come to a kinder or harder working person. Half Day is proud to call him a friend and inspiration! Congratulations, Mr. Ed!! !